Marijuana is the most commonly used illicit drug in the United States by youth and teens, as well as adults. Recent public discussions about medical marijuana and the public debate over the drug’s legal status are leading to a reduced perception of harm among young people. In addition, some youth and teens believe marijuana cannot be harmful because it is “natural.” But, as noted by the National Institute on Drug Abuse for Teens, not all natural plant substances are good for you— tobacco, cocaine, and heroin also come from plants and they are harmful just as well. Youth Marijuana Use Statistics in the U.S. 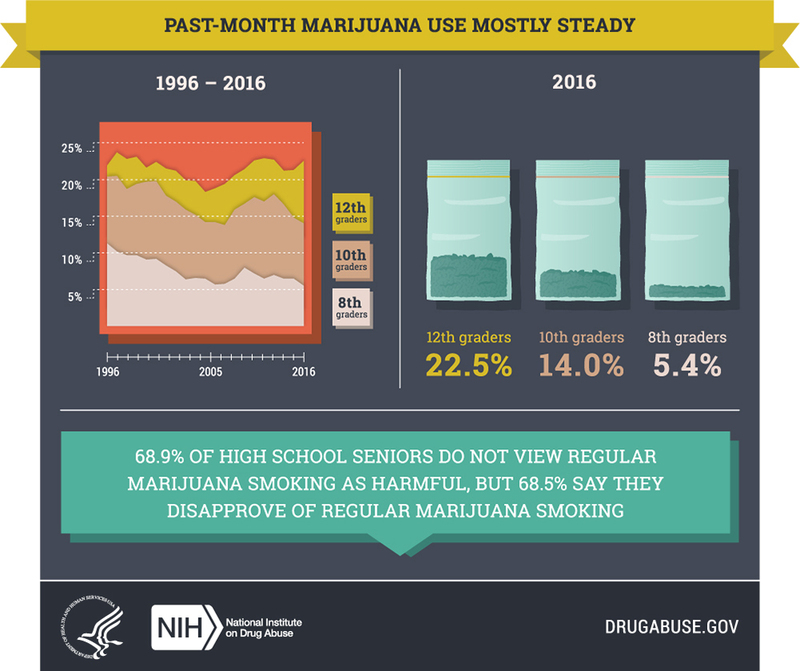 According to the 2016 Monitoring the Future Study, from 1996 to 2016, past-month marijuana use was mostly steady among 8th, 10th, and 12th graders nationwide. 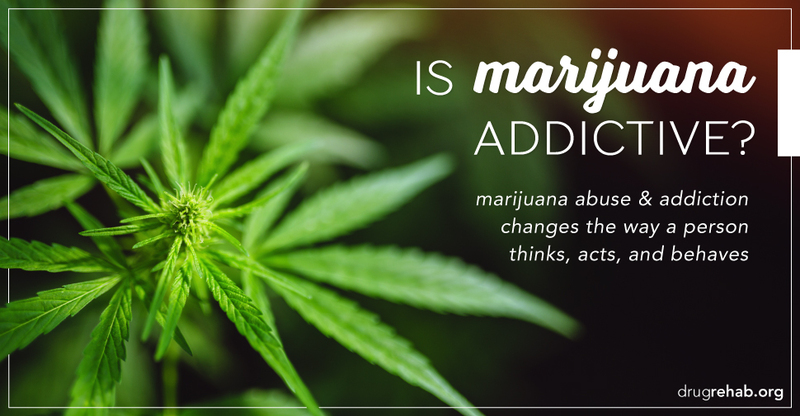 Yes, marijuana can be addictive. Someone who regularly uses marijuana may continue to use it despite negative consequences in their life. Approximately 10% of marijuana users may develop what is called a marijuana use disorder— which may cause problems with their health, school performance, friendships, family or other conflicts in their life. A serious substance use disorder is commonly called an addiction. For example, when a person can’t stop using marijuana even though it gets in the way of their daily life activities. Youth who begin using marijuana before the age of 18 are 4 –7 times more likely than adults to develop a marijuana use disorder. What causes one person to become addicted to marijuana while another does not depends on many factors—including their family history (genetics), the age they start using, whether they also use other drugs, their family and peer relationships, and whether they take part in positive activities like school or sports (environment).